This year’s 4th quarter has proved as busy as all the rest. As we also come to the end of the 4th year of operation I can report a very successful working system. I am accepted in the village now and seen as a friend and benefactor. Known as ‘Baba John’ I can drive through with my windows open and greet people as I pass. Greetings are returned whole-heartedly. It brings a great sense of belonging. I’m back in London now and have exchanged some art works with a new primary school. 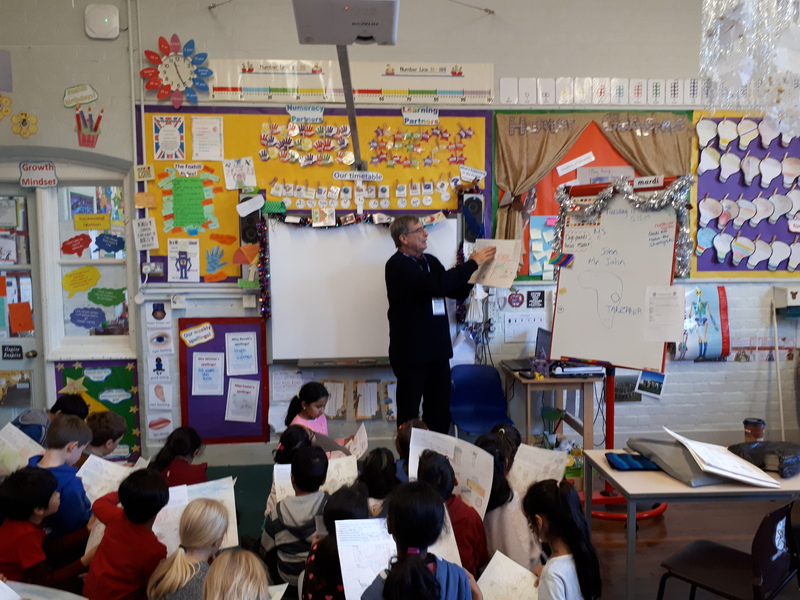 In fact, one of the patrons from our exhibition this Summer, a school administrator in a primary school in Reading, has linked us on a picture exchange with a 3rd year class in her school. This will be a similar exchange to the one we held formerly with Roxwell School in Essex. This time I worked with Mwowe School in the village to produce a series of pictures depicting the lifestyles, hopes and dreams of the pupils. We hope to exchange pictures done by the children of each school. For these pictures I had to use crayons as paints would have been difficult. There were 42 children in the class! In this quarter I was happy to attend the graduation of a student we supported through a Vocational Training college – Kibosho VTC. The college subsidises students from charitable funds in Holland but requires parents/carers to provide as much as they can afford. 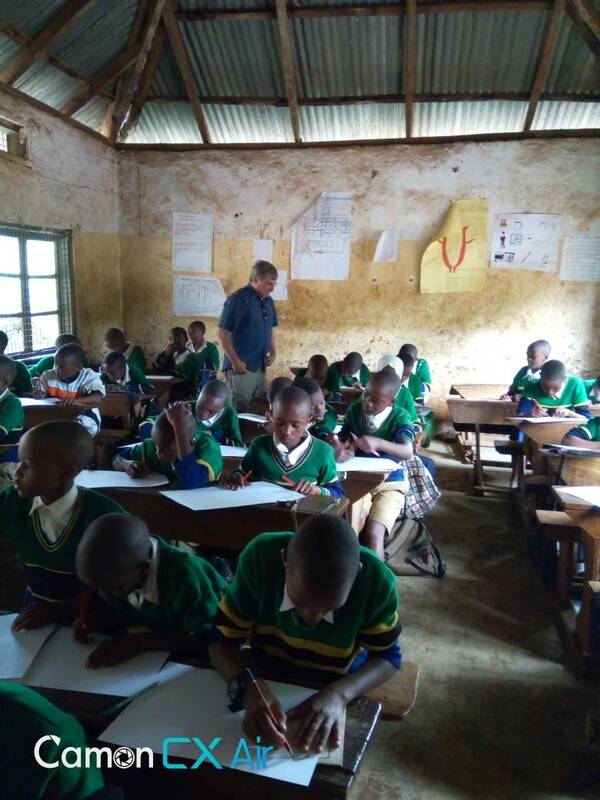 We added 2 more students this year from a group of 8 from the village who were accepted at Kibosho. It was lovely to see their progress. 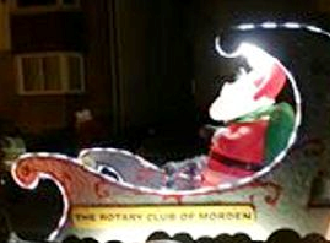 While here in London I have supported my Rotary colleagues at Morden Rotary again on their Christmas rounds. The community looks forward to it every year as it’s been going now for approx. 80 years! As we wind up our Christmas celebrations and move into 2018 I look forward to a new year in Tanzania and new Art classes for next year’s exhibition. Having waited so long to secure an exhibition space in London we round up the year very nicely knowing that we have a space for next year. Meanwhile our Morden community is now in the process of applying for the status of ‘Borough of Culture’ in London. Morden could certainly use some! Good luck to all in this bid. 2018 will provide us with new opportunities and challenges. We have had the good fortune to receive a donation from Callington Rotary Club who have supported projects in the past in South Africa and have now agreed to support our work in the village. With this donation I’m looking forward to new work in the third of 3 schools we support. We will keep you posted. We trust all your Christmases were good and that you will have a happy and prosperous New Year.